Stately leather bags and screaming supercars. Let's review. Named for Britain’s famed fighting force and in the satchel biz for nigh 40 years, Ghurka stocks assorted natty haul-alls in their new SoHo emporium. 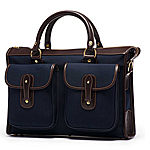 Some of the best bags in the biz. Highly recommended. Check it out. 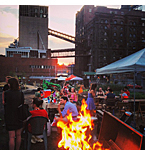 Pull up a chair to the North Brooklyn Farms Supper Club at Williamsburg’s brand new Havemeyer Park, a former parking lot now decked with an outdoor movie theater and shipping containers dishing out local grub. Check it out. 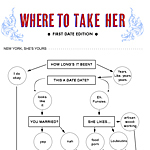 Because every man needs a plan, we give you “Where to Take Her”: a decision tree series that answers a gentleman’s most pressing lifestyle questions and recurs whenever we get around to it. Up first: the first date. Check it out. 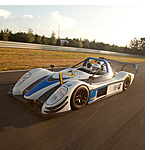 Pilot the cheek-flapping Radical SR3 around 22 gasp-worthy turns at the Monticello Motor Club’s Radical Experience, now accepting very limited bookings for their next season. Check it out. 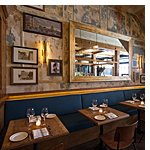 When the evenings are cool and the hubbub of restaurant windows casts light on the West Village cobblestones, pop into newly opened Italian den Pagani for baked veal meatballs and truffle gnocchi. Check it out. This month, we invited InsideHook readers to the Great Steak Debate at David Burke Kitchen in NYC to judge the nation’s tastiest ribeyes. Their favorite? The answer is right this way. SpaceShipOne and Lindbergh’s transatlantic flight — both completed for prize money. Now one man is says prize money can incentivize the world’s do-gooders, too. Meet Victor Cho, InsideHook’s September Man of the Month.